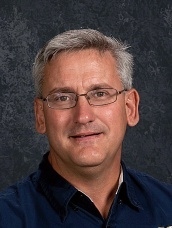 PLCC would like to congratulate Mr. Dale Dunlevy, PLCC Facility Operations & Maintenance (FOM) instructor, who was recently selected to be a member of the 2014 Summit County All County Teaching Team. Members of the Teaching Team can be nominated by anyone from the community and chosen to represent their school systems by a selection committee comprised of Summit County superintendents and a representative from each Education Celebration sponsor. Mr. Dunlevy has taught at the Career Center for the past six years. “While I am extremely grateful to receive this award, I realize that I’m only one part of a team of highly motivated PLCC faculty members who serve our students and prepare them for life outside of school. Our team strives to individualize the education of each student, focusing on the best possible path to allow them to maximize their value to both society and themselves.” Dale completed the Naval Nuclear Power School, attended Stark State College, Ohio State University and obtained his teaching credentials from Kent State University. He was recognized for this honor at the Summit County Education Celebration on October 27.